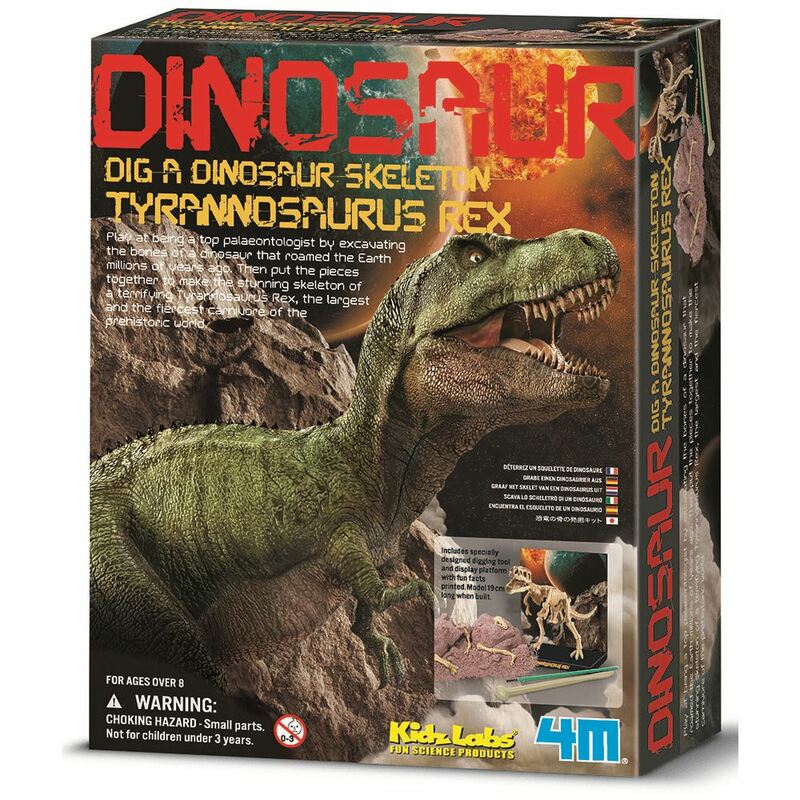 Pretend your a palaeontologist with 4M by excavating the bones of a that roamed the Earth millions of years ago. Put the pieces together to make the skeleton of a Tyrannosaurus Rex, the largest and the fiercest carnivore of the prehistoric world. Includes: a "buried" dinosaur skeleton in a plaster block, specially designed digging tool and a quiz of 10 questions and answers about the dinosaur. Age 8+ years. Part of the KidzLabs range. Distributed in New Zealand by Holdson.